Regina Foisey is the Senior Marketing Manager for the Wine Council of Ontario. She has an extensive wine background including sales, tasting room manager, winery tours and events, harvest and vineyard management. Regina’s talk at the International Wine Tourism Conference is titled: “Supporting & Promoting Wine Country Tourism in Ontario Canada.” The presentation will examine how wineries can deliver quality experiences, and how as an association how the Wine Council of Ontario markets wine tourism and supports wineries to deliver great experiences to wine tourists. As one of the speakers at the upcoming IWINETC in Reims, France I had a chance to interview Regina about her experiences and presentation. With your extensive background in mind, what are some of the best practices to provide a wine knowledge base for employees who provided wine experiences? Consistent messaging is key – whether it be for multiple employees within a winery or employees across wineries within a region. Having each talk about the local region and the industry in a consistent manner is beneficial to tell the story. We work with wineries to help them develop the tools and communication pieces for staff at all levels, such as the winemakers, sales staff, tasting bar staff, tour guides and management with key messages of the overall industry as well as ways for them to be authentic to their brand and highlight their uniqueness. As an industry we aren’t competing against the winery next door – we are competing against the world so all winery staff are ambassadors for Wine Country Ontario and help us tell our story. This in turn, promotes pride in what we have in Ontario. What are some activities and experiences that wineries can offer visitors during the winter and early spring? As a wine region in Canada, many believe we are under snow most of the year which is not true but…we have created many great experiences all year long – even when under a fresh blanket of snow. While summer is the obvious time for travel, the Ontario wine industry have been creative in developing winter and off season activities from winemaker’s getting together in a hockey game on a ice rink in the vineyard to outdoor fire pits for toasting marshmallows to pair with delectable Icewine to snow shoeing and cross country skiing amongst the vines. We don’t shy away from activities outdoors and Ontario has excelled at hosting a winter Icewine festival for 3 weekends in January. Celebrating its 20th anniversary this year, it is a collection of experiences at wineries, and involves the community with street festivals showcasing 20+ wineries serving samples on frozen ice bars surrounded by ice sculptures, warming stations with fire pits, guests can enjoy outdoor concerts and in the past have had fashion shows, barrel rolling competitions and more. Culinary experiences are integrated in all components from the wineries creating food matches for the Icewines and passport programs to encourage multiple winery visits, special winemakers dinners at local restaurants and more. What are the unique attractions Ontario wine experience providers offer tourists? Wineries in Ontario have been very creative in developing a variety of experiences for the wine tourists throughout the year from holding yoga in the vineyards, to cooking demonstrations and classes, culinary focused events, to spending a day ‘in the winemakers boots’ where the guests actively participate in vineyard activities, lab analysis, and wine tasting/blending exercises. We have helicopter tours to wineries, bike tours, hiking tours along the world renowned Bruce Trail and more. There is no limit on unique attractions/experiences available at Ontario wineries. 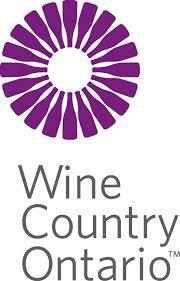 What are some statistics about the Ontario wine industry? What is the potential for Ontario to host a future IWINETC? We would love the opportunity to host IWINETC – we have 100+ wineries located within the Niagara Peninsula region ranging from small boutique wineries to large internationally renowned properties. Within 30 kilometers are the iconic Niagara Falls, world class convention centers, and hotels. 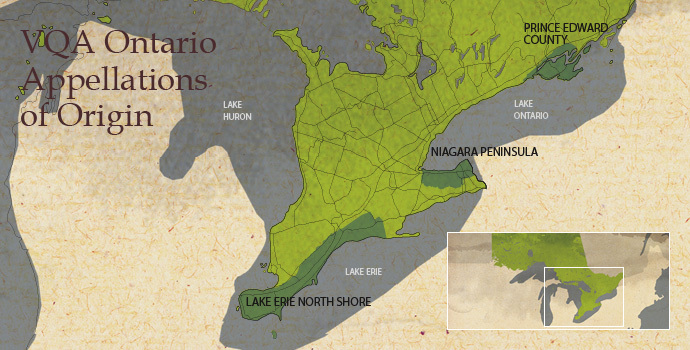 Travel to Ontario’s wine country is easily accessible by 2 international airports located within 1 – 1.5 hour drive (Toronto, Ontario and Buffalo, New York.) We have multiple tourism partners that would partner and support hosting a conference of this caliber. We are proud of the Ontario industry and international media has raved about the wine country experience and wines we have to offer. What are you aims ad objectives by participating at IWINETC? Connecting and learning from other wine regions through their challenges, solutions and best practices experienced in their regions. Hearing the presentations and participating in the casual round table conversations and networking opportunities which allow each of us to learn and discover what other regions are doing. My goal for attending is to make new connections and professional contacts, visit a wine region I have not had the pleasure of visiting and professional development/experience from the speaking role.